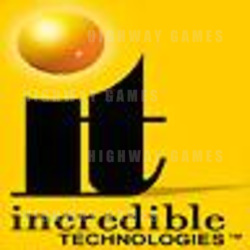 Amusement Machine Distributors of Matraville, Australia has been appointed the exclusive Australian distributor for Incredible Technologies products, including Golden Tee Fore, the number one coin-op game in the World. Robert C. Fay, Vice President of International Sales for Incredible Technologies, made the announcement after completing a successful two-week trip to Australia recently. "We feel that Bruce Colbourne and the entire organization at AMD will do an excellent job in representing our products and protecting our intellectual property rights, and more important, administrating our on-line tournament system," stated Fay. "The administration, maintenance and prize fulfillment of our ITS tournament system requires that we have a distributor in each new country assume the responsibilities of an International Partner with IT," added Fay. Organizing and administering online play entails many responsibilities for the designated company within the country. Some of these important functions include registration of operators, financial and legal matters, establishing local communications, tournament rules, schedules, prize structure, customer service issues, awarding prizes and more. "Bruce has run tournaments in the past for Golden Tee products and we feel that his experience in that area will serve him well in assuming the responsibility of orchestrating the launch and success of our national on-line concept," Fay further advised. Incredible Technologies staff is producing a special software version of the smash hit Golden Tee Fore, tailored especially for the Australian market. A ten-unit test of the ITS system will begin some time before year end. This week we received a number of emails and calls from Australian operators who had concerns about the exclusive agreement and why the product is not sold in an open market. The price being quoted under the exclusive agreement is said to be $10,000.00AUD per upright tournament cabinet. We spoke to Bruce Colbourne earlier this week who mentioned that this project could only be handled by one company successfully and AMD will be working closely with IT to make it a success in Australia.